Carly Barrett-Greening is a creative attachment and trauma practitioner, consultant and supervisor. Specialising in Children & Young People’s services since 1996 with over 22 years’ experience working within fostering and adoptive children and their families. Working across south west England. Multi-professional and systemic working is key to all her roles and experience. 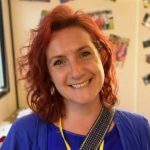 Carly delivers bespoke training programs on attachment in the classrooms within schools, Mindful Yoga for Young People’s Emotional Health and Therapeutic parenting programs to enhance skills in identifying underlying language and triggers for emotional and behavioral presentations of children. Her compassion derives from direct therapeutic life story work with children and families to enhance attachment and heal trauma. Carly studied Children’s Yoga in 2010 to enhance young People’s emotional well-being and facilitate relationship repair and attachment on relational terms. Her compassion for therapeutic work increased. 2013 undertook further Mindfulness and Yoga Training at Special Yoga Foundation, London. Theraplay® certified and DDP level 1 and 2 trained applying DDP informed practice since 2013. Has undertaken Trauma Centre Trauma Sensitive Yoga (TC-TSY) specialist training to aid healing of somatic sensory feedback within individual’s bodies related to trauma. Other qualifications include Welfare Diploma, Theraplay® Certified, Mindful Yoga.